"IF you are going to throw a club, it is important to throw it ahead of you, down the fairway, so you don't have to waste energy going back to pick it up." "My best golf year in 1973 was the worst with my wife and family. I said, "to hell with this that; if that's what it takes to be the greatest golfer in the world, I don't want it." "It's not your fault. It's my fault because I listen to you"
"To give up on a shot, a hole or a round is more habit forming than a highball before breakfast"
"Nonchalant putts count the same as chalant putts." "Think like the underdog. The underdog always has the advantage... The favorite, meanwhile, is prone to negativism, worrying about how embarrassing it would be to lose." "Competitiveness is a personality thing and competitive people don't become pushovers the day they turn 50." "... no part of golf is more important than putting." "Golf is an awkward set of bodily contortions designed to produce a graceful result." "Thinking must be the hardest thing we do in golf, because we do so little of it." "All you need for a happy life is good health and a bad memory." "Golf is a game that tests you as a person far more than it tests you as an athlete." "I don't get nervous at the Masters or Open anymore but I do get more interested." "When you're young, you think it's inevitable that you're going to win sooner or later, but when you're old the inevitable is over." "The only goal all day, every day is to become reacquainted and realigned with the truthful (happy) essence of who we already are. As we do this, our GolfGames begin to thrive." "The hands are like two Australian sheep dogs, if you don't train them they will kill all the sheep"
"Swinging muscles have rhythm, but lifting muscles do not"
"I putt as I drive"
"If the knees are working correctly you can contain a motionless head"
"The world's no. 1 tennis player spends 90 percent of his/her time winning, while the world's no. 1 golfer spends 90 percent of his/her time losing. Golfers are great losers." "There are two things you can learn by stopping your backswing at the top and checking the position of your hands; how many hands you have, and which one is wearing the glove." "A perfectly straight shot with a big club is a fluke." "In golf, humiliations are the essence of the game." "The good swing is based on a pivot with the minimum of to-and-fro movement." "Eighteen holes of match or medal play will teach you more about your foe than will eighteen years of dealing with them across a desk." "The Golf Stroke involves, mainly, two basic elements � the Geometry of the Circle and the Physics of Rotation." "Until you play it, St Andrews looks like the sort of real estate you couldn't give away." "In my opinion, no young player can develop his or her game to its highest potential if he or she rides around the course in a golf cart." "Muscles do not understand words, but they can and do respond to pictures and feels, especially when they are combined." "Golf is harder than baseball. In golf, you have to play your foul balls"
"Golf is about how well you accept, respond to, and score with your misses much more so than it is a game of your perfect shots." "One minute you're bleeding. The next minute you're hemorrhaging. The next minute you're painting the Mona Lisa". "I always said you have to be really smart or really dumb to play this game well. I just don't know where I fit in." "I compare the pressure of a golf shot with making an extra point in basketball. The player starts from a full stop, and that rim doesn't move." "A well-adjusted individual is one who can play golf as if it were a game." "I have a tip that will take five strokes off anyone's game. It's called an eraser." "Good putting is the banishment of doubt." "The only way to build realistic confidence in yourself is through practice." "I PUTT BEST when "my hands feel thin." 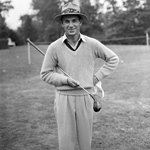 "For what [Ben] Hogan meant, it's the old story. For those who know golf, no explanation is necessary. For those who don't, no explanation is possible." "There's something intrinsically therapeutic about choosing to spend your time in a wide, open, park-like setting that non-golfers can never truly understand." "The more you play it the less you know about it." "No-one will ever have golf under his thumb. No round ever will be so good it could not have been better. Perhaps this is why golf is the greatest of games. You are not playing a human adversary; you a playing a game. You are playing old man par." "Imagine the ball has little legs, and chop them off." "I've heard people say putting is 50 percent technique and 50 percent mental. I really believe it is 50 percent technique and 90 percent positive thinking, see, but that adds up to 140 percent, which is why nobody is 100 percent sure how to putt"
"Golf is a game in which attitude of mind counts for incomparably more than mightiness of muscle." "Only one golfer in a thousand grips the club lightly enough." 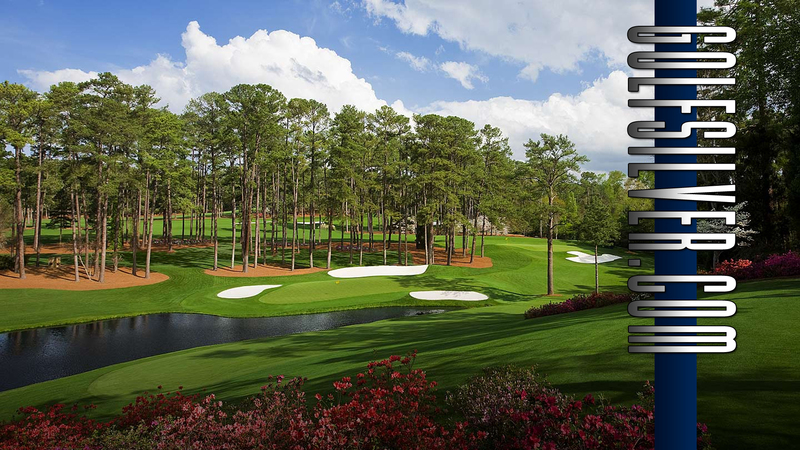 "Golf is deceptively simple and endlessly complicated." "It takes hundreds of good golf shots to gain confidence, but only one bad one to lose it." "One thing about golf is you don't know why you play bad and why you play good". "When you play the game for fun, it's fun. When you play it for a living, it's a game of sorrows." "Reverse every natural instinct and do the opposite of what you are inclined to do, and you will probably come very close to having a perfect golf swing." "First we crawl, then walk, then run. Stillness, slowness, and softness are the foundation of motion, speed and strength." "You have to make corrections in your game a little bit at a time, It's like taking your medicine.A few aspirin will probably cure what ails you, but the whole bottle might just kill you." "Understand that golf is neither a right-handed nor left-handed game, but a two-handed one." "There is no type of miracle that can't happen at least once in golf." "Watching Sam Snead practice hitting golf balls was like watching a fish practice swimming." "My first rule is, Distance without direction is worse than no distance at all"
"When warming up before a round, make the last shot you hit on the practice tee the same as the first shot you have to hit on the course"
"With either a downhill lie or an uphill lie, always play the ball nearer the higher foot"
"If you could eliminate the occasional bad shot you would be the first person to do so"
"Nobody ever swung a club too slowly"
"Give me golf clubs, the fresh air, and a beautiful partner, and you can keep my golf clubs and the fresh air"
"After taking the stance, it is too late to worry. The only thing to do then is to hit the ball." "Show me a man who is a good loser and I'll show you a man who is playing golf with his boss." "The biggest liar in the world is the golfer who claims that he plays the game merely for exercise"
"Like life, golf can be humbling. However. little good comes from brooding about mistakes we've made. The next shot, in golf or in life, is the big one. "Golf is the hardest game in the world. There's no way you can ever get it. Just when you think you do, the game jumps up and puts you into your place." "Golf is a game in which you yell fore, shoot six, and write down five."